That's how many carton Amazon shipped from China to the US over the past year, as it ramps up Amazon Global Logistics. That according to an article last week in USA Today. At the beginning of 2018, Amazon had move about 5300 containers from China to the US – a number that certainly rose over the past year. In 2016, a number of news sources, notably Bloomberg, reported on a secret and highly ambitious plan inside Amazon to provide broad logistics services for goods made in China and shipped to the US and maybe someday Europe. Amazon has spent most of the intervening time denying it has such plans – even though in 2016 Amazon received a license to act as a wholesaler for ocean container shipping from the US Federal Maritime Commission and received a similar permit for a Chinese subsidiary. Now, per predictions back in 2016, the rising shipping activity "makes Amazon the only ecommerce company that is able to do the whole transaction from end-to-end. 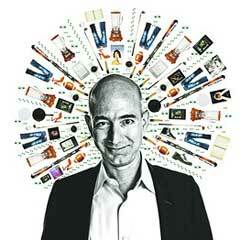 Amazon now has a closed ecosystem," according to one global logistics expert who spoke with USA today. These capabilities will allow Amazon to directly connect Chinese manufacturers with US customers. Look out! 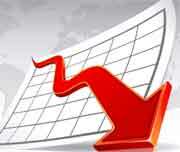 That was the decline in the Shipments Index from Cass Information Systems in December, the first annual decline in two years. Meanwhile, the ATA's freight tonnage index fell 4.3% from November to December, another sign from volumes may at last be slowing, after a year plus of torrid growth in 2018. “We see more evidence pointing to a potential freight recession in 2019 similar to 2015/16,” Morgan Stanley analysts Ravi Shanker and Diane Huang wrote in a Jan. 16 research note. “With net inventory levels reaching another all-time high and ordering levels falling, the risk of a destocking event in 2019 is high.” But rates have yet to be much impacted after a year of record gains. Truckload spot rates in December were $2.07 per mile, just a penny lower than the prior month and 5 cents below the level in December 2017, according to the monthly report from load board DAT Solutions. But some analysts say trucking companies could a steep decline soon in shipping demand because some manufacturers and retailers pulled imports forward in 2018 to avoid tariffs expected to take effect around March. That is the planned square footage for a new Walmart consolidation center expected to open in July near Los Angeles. The facility it will be the company's first consolidation facility to use automation to receive, sort and ship freight. Walmart expects the technology to allow three to four times more volume in the flow of merchandise, as well as provide more agility. The center will open with 150 full-time workers, but that's expected to exceed 600 by 2021, company officials said. The consolidation centers aggregate goods from different suppliers before they are shipped to regional DCs, which then ship to stores. Walmart provides this analogy: If there were 10 place settings on a dinner table with plates, silverware and glasses, the cleanup would require 10 trips to the sink if you just grabbed one plate at a time. But if you stacked the plates, cups and silverware it would only take a couple trips. Walmart's consolidation center will function in much the same way. It will take multiple vendor shipments and consolidate them before sending to local DCs. That's how many delivery robots Amazon will soon put into service in Snohomish County, Washington, which will used for Prime customers who request same-day, one-day, or two-day delivery. The delivery robot is called the Scout, travels on six wheels, and was developed at the company's Seattle research lab. The robot looks very similar to machines from Starship Technologies that a number of companies are testing in the US and Europe. The Scouts will soon be moving down sidewalks at a "walking pace" for now, Amazon says, adding that it will limit its testing to daylight hours Monday through Friday, when sidewalk traffic is lowest. The robots will deliver groceries, restaurant means, and ecommerce orders. Scout to start will have a human chaperone to make sure the bot can safely and efficiently navigate around pets, pedestrians, and anything else in their path. The key question: can such delivery.